Whether you are a beginner or an expert in Adobe Illustrator it is always good to follow new Adobe illustrator tutorials to learn new techiques. 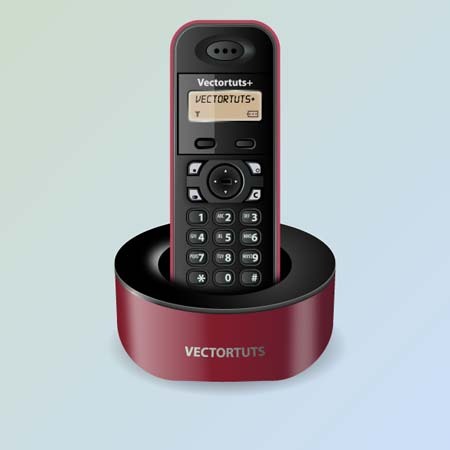 Especially,if a tutorial is written with detailed instructions then you may improve your skills very easily and become a successful illustrator. In today’s post we have gathered latest Adobe illustartor tutorials to make you learn new techniques. 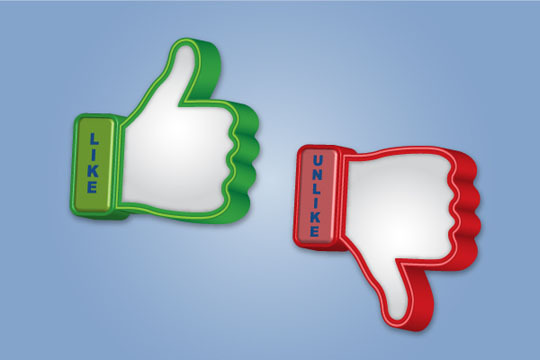 In the following following tutorial you will learn how to create a multi-purpose 3D Like and Unlike symbol with the help of the Extrude & Bevel settings and the Appearance Panel in Adobe Illustrator. 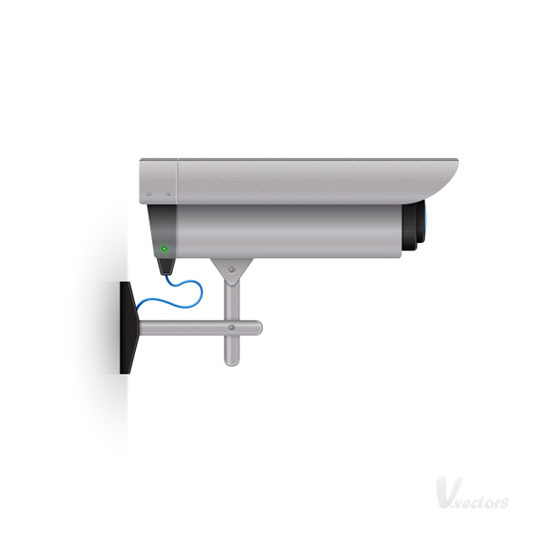 In the following Adobe Illustrator tutorial you will learn how to create a detailed surveillance camera illustration. 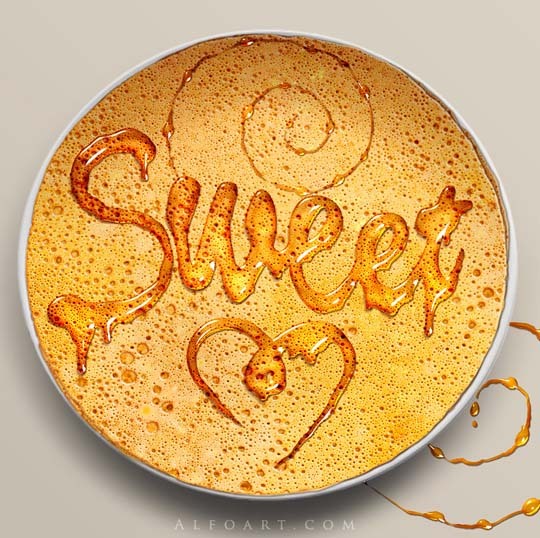 Discover how to use professional vector build methods, pixel based highlighting, and vector effects to design this artwork. 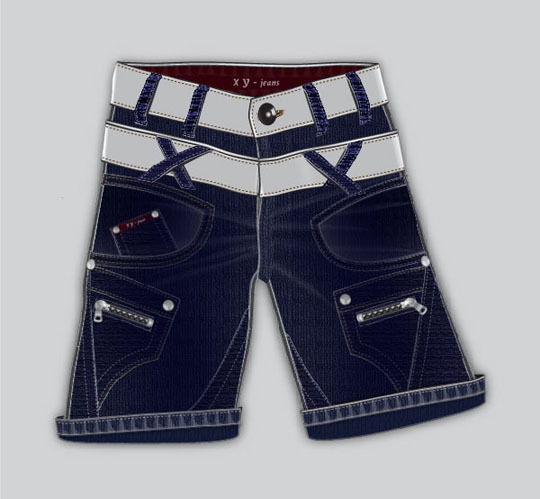 In the following steps you will learn how to create jeans in Adobe Illustrator.You’ll learn how to use blends, gradient, add effects, and create strokes in Appearance panel. 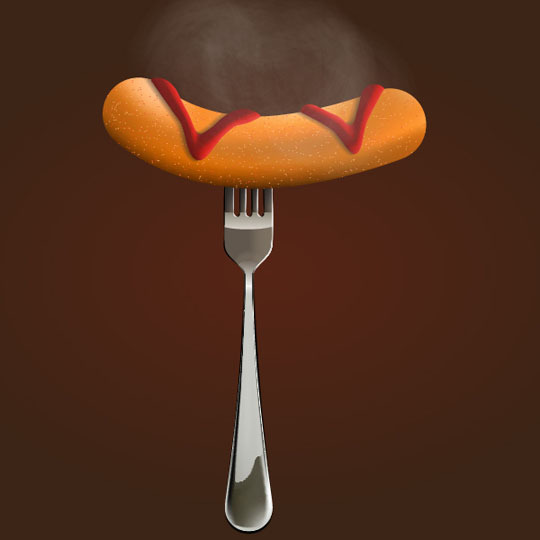 Learn how to draw a sausage with ketchup in Illustrator. 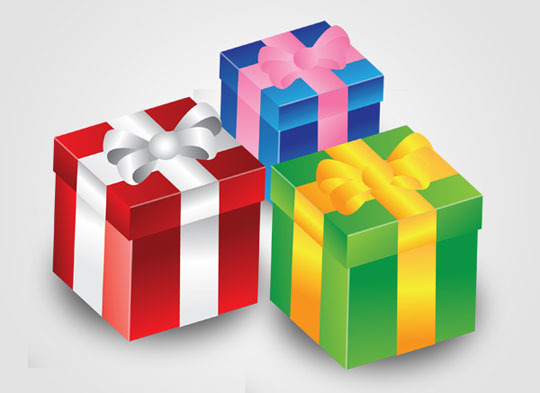 Learn how to create a romantic gift box in AI. In this Adobe Illustrator tutorial you will be learning how to create a heart shaped gift box by using a few basic tools such as the Ellipse Tool (L) and Pen Tool (P). 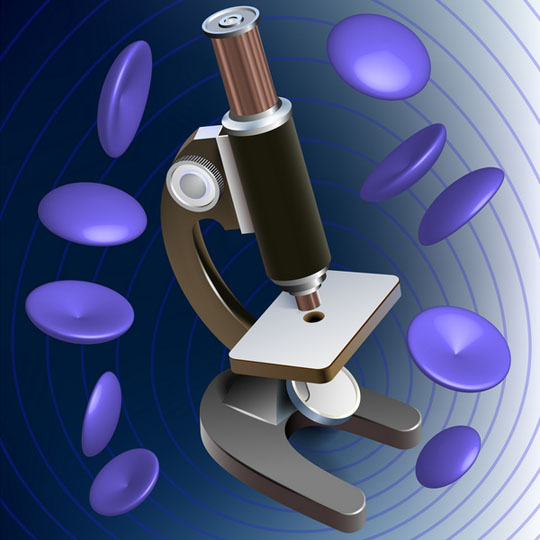 Throughout this tutorial on how to illustrate a vector microscope you’ll take advantage of numerous Illustrator tools. 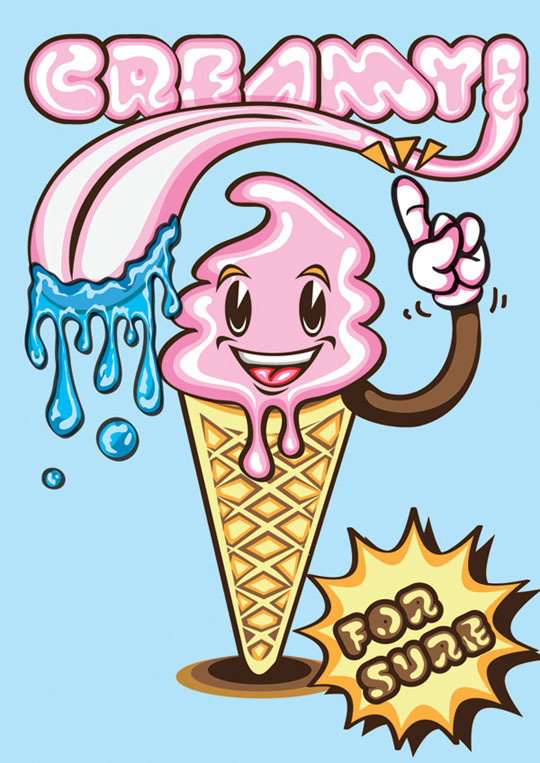 You will learn how to use blends, art brushes and 3D rendering in Adobe Illustrator. 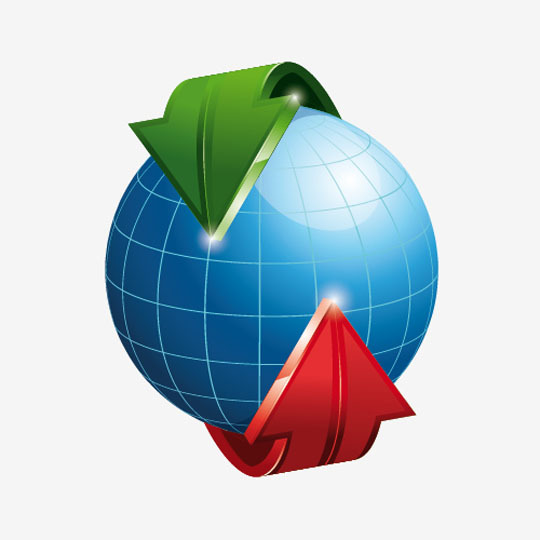 Create an interesting business icon that consists of two arrows and a globe in this Adobe Illustrator tutorial. 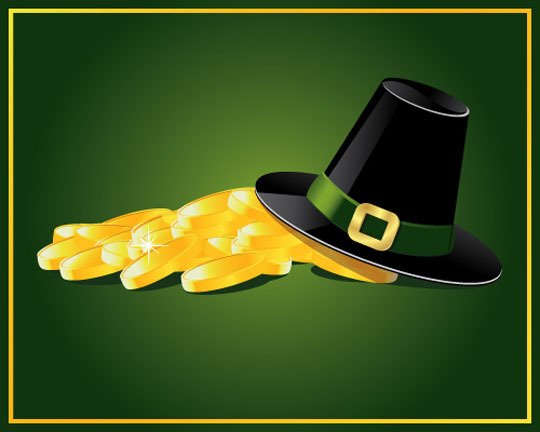 In this tutorial you will find useful information on how to create a pile of golden coins and a Pilgrim hat. 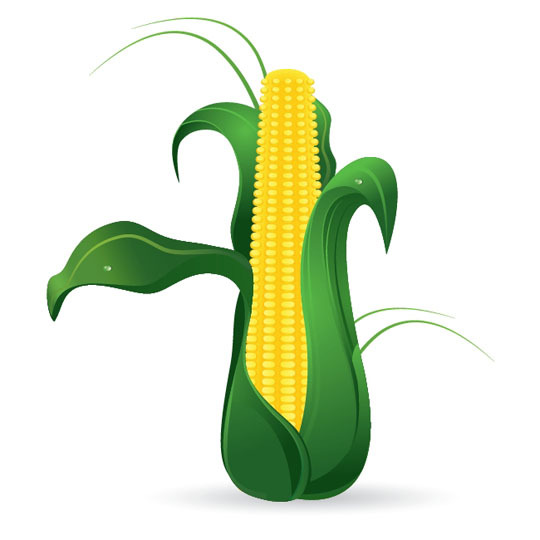 Learn how to create a Corn Cob by using Adobe Illustrator:In this tutorial the artist used Blend Tool, Envelope Distort and of course the Pen Tool. 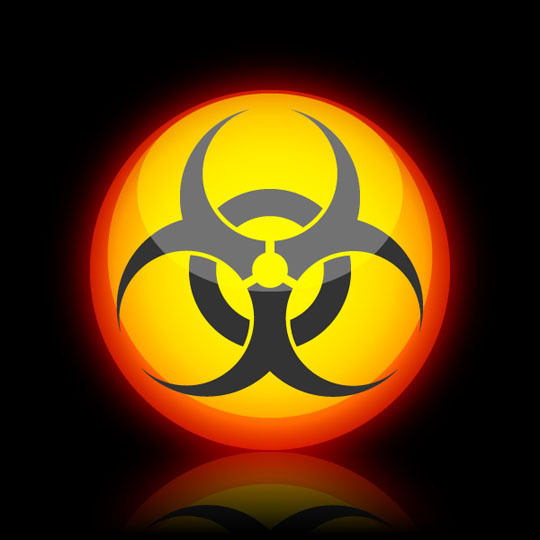 In this tutorial you will learn a quick, easy and accurate way of creating your own basic biohazard icon. 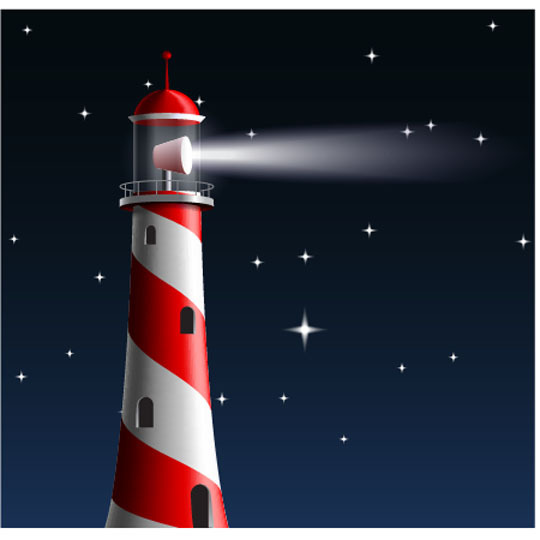 For this tutorial you’ll be focusing mainly on the use of the Ellipse and Rotate Tools. 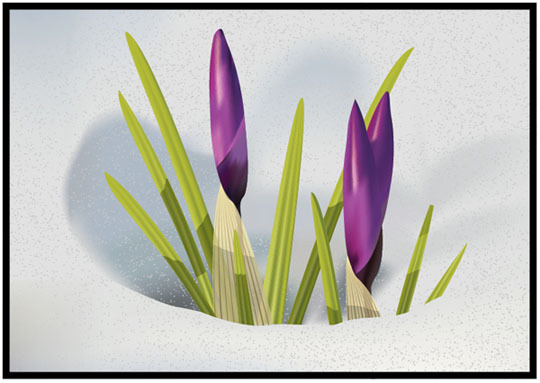 In thsis tutorial,you will learn how to create Crocuses in Illustrator. 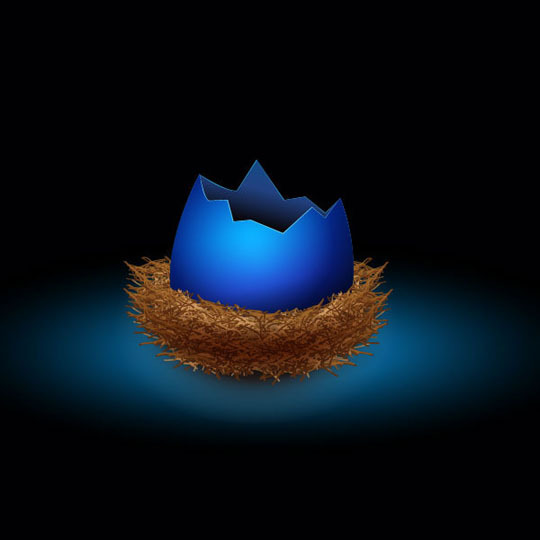 In this tutorial, you’ll create a cute bird’s nest with a cracked eggshell inside of it. You’ll start by drawing our artwork with the Pen Tool, bringing it to life with the Gradient Tool, and finishing it up by adding shadows and highlights. 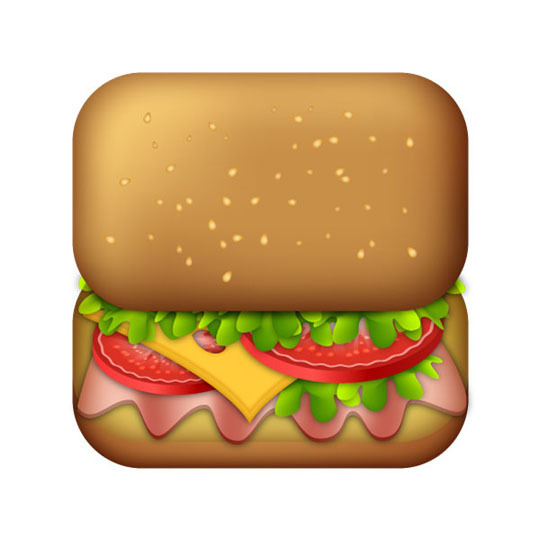 In the following tutorial you will learn how to create iOS style sandwich icon using meshes, gradients and blending modes to spice up your design. 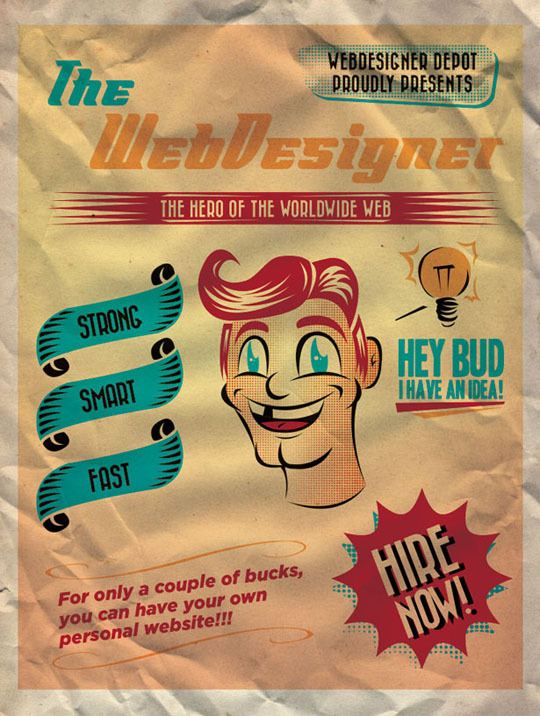 In this tutorial,you will learn how to create a retro poster for a web designer. 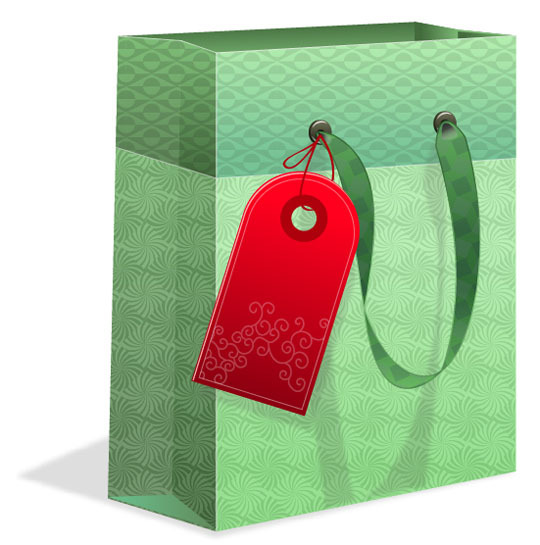 In this tutorial you will learn how to draw a designer gift bag using basic shapes and various patterns, which are made available in Illustrator. 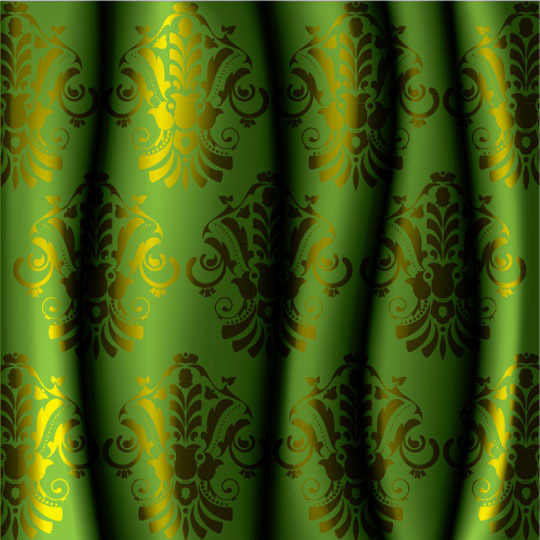 You will also learn to add your own customized details to the design. 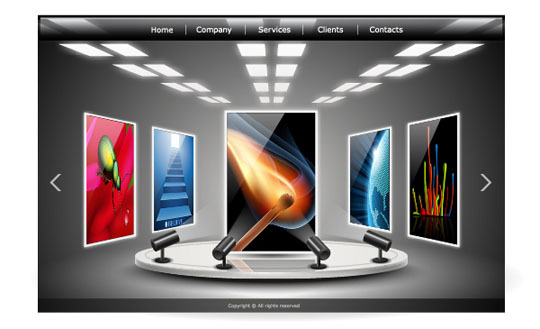 In this tutorial,you will learn how to create a picture gallery.The artist used 3D rendering, Blends, Opacity masks, making this three-dimensional stage with vanishing points. 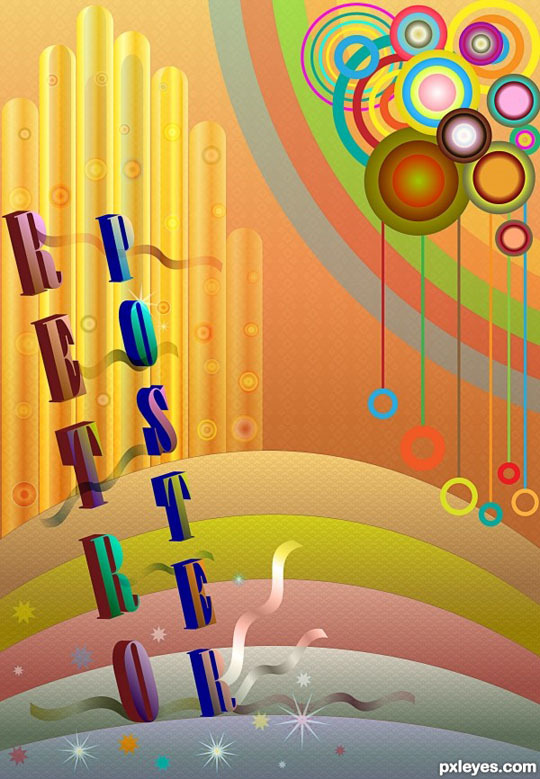 From this Adobe Illustrator tutorial you will learn how to create a colorful retro style poster using gradients, geometric shapes, patterns and 3D effects. 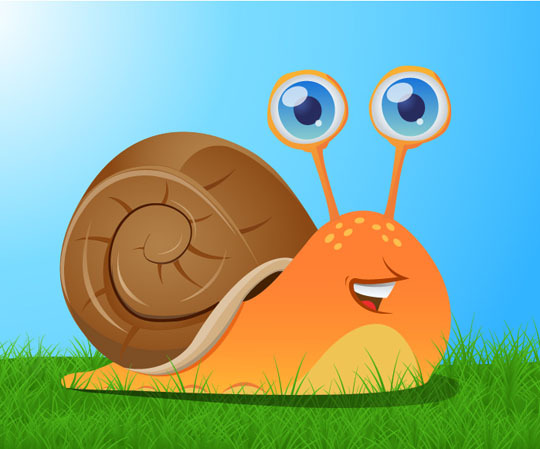 In this tutorial you will learn how to draw a snail using tools such as the Pen Tool (P), Selection Tool (V), Direct Selection Tool (A), Ellipse Tool, and Gradient Tool (G). Some shapes will be created with the help of the Pathfinder panel. 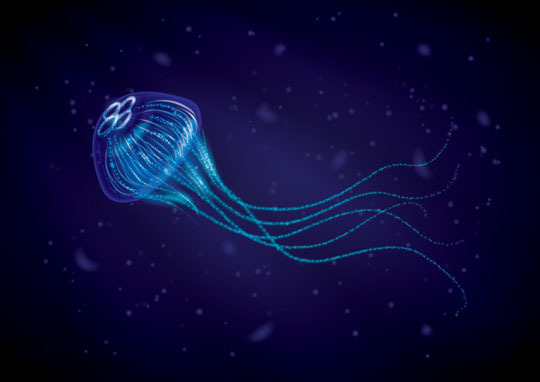 In thistutorial, you will learn how to create a stylized jellyfish using blends and brushes within Adobe Illustrator CS5. 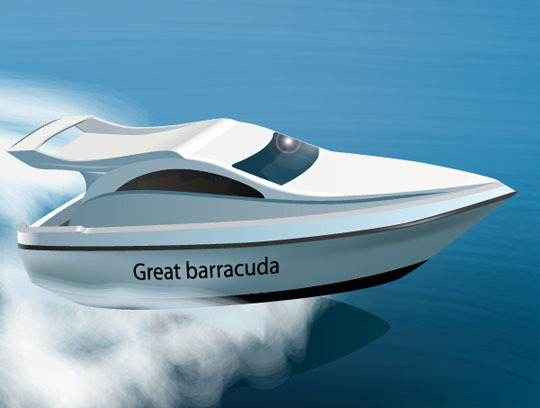 In this tutorial, you will use Meshes, Bristle brushes, Art brushes, and other tools and techniques for creating a racing yacht in Illustrator. 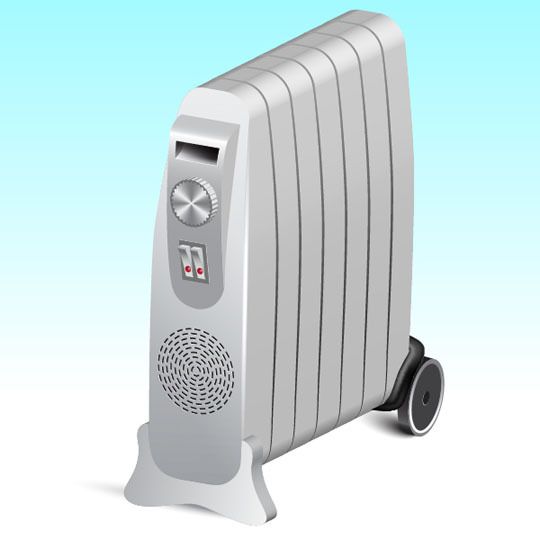 You will use 3D-rendering, Blends, as well as other Illustrator tools and professional vector techniques for creating an oil filled, vector radiator. 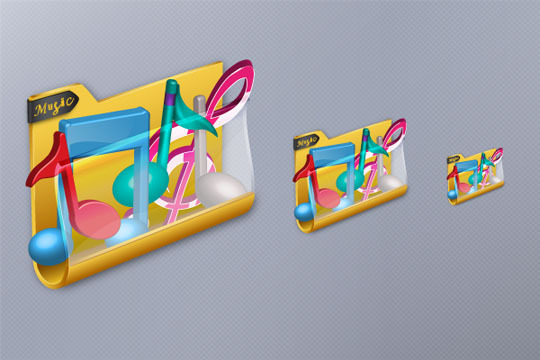 In this tutorial you will learn how to draw a music folder icon in Illustrator.You will use the 3D Revolve tool and Extrude & Bevel effects. Follow this tutorial to learn how to draw a futuristic download player using only basic shapes. 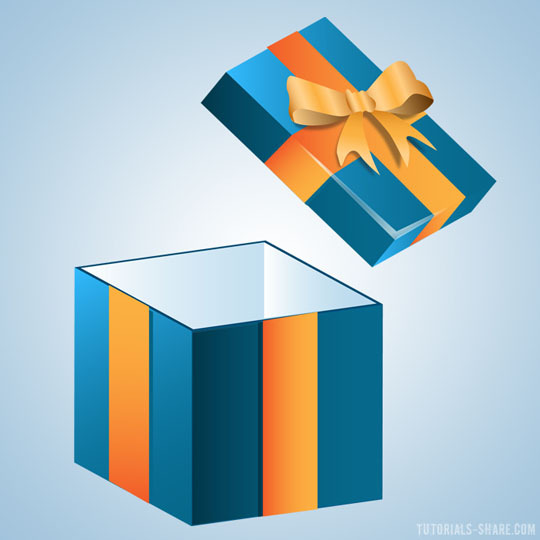 Learn how to create a 3D opened gift box icon in Adobe Illustrator. 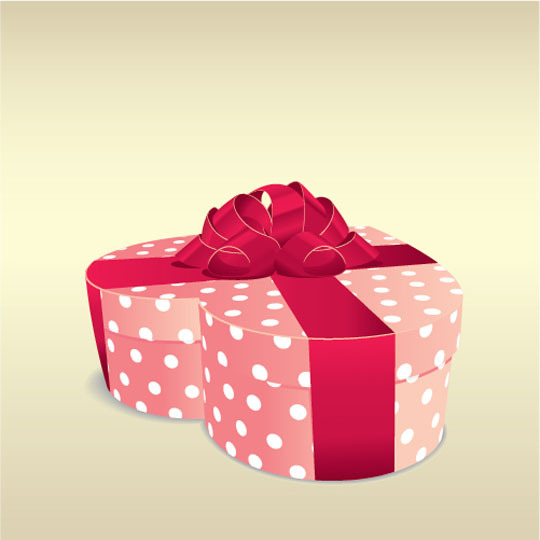 You’ll be using shapes, effect options and the Pen Tool to create this cute Gift Box Icon. 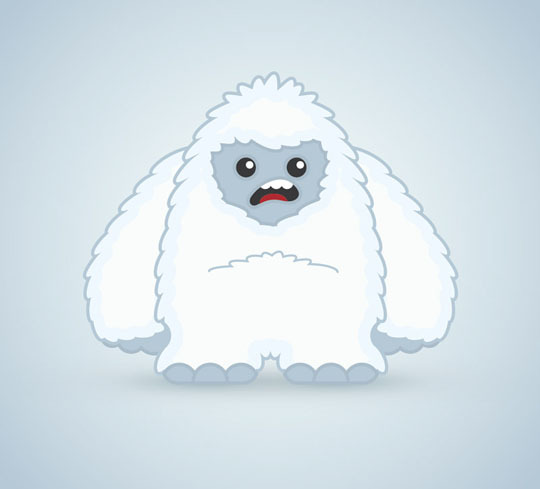 Follow this step by step Illustrator tutorial to create a cool vector Yeti character. We’ll use as many basic shapes as possible to achieve that quirky style of illustration, then bring the character to life with a palette of cold colours. 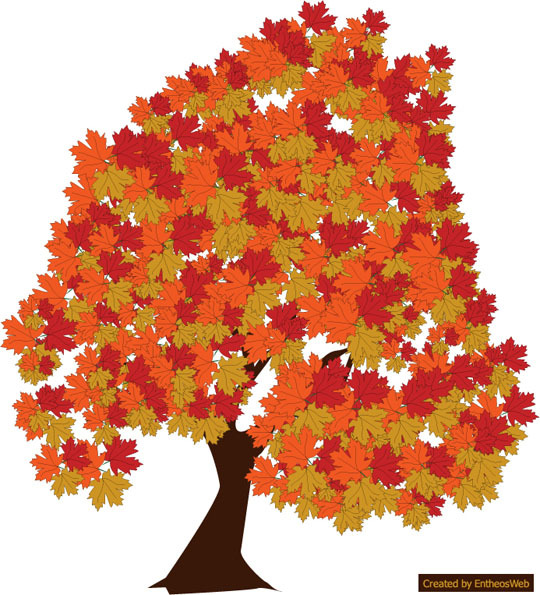 The following steps will help you create the final output for the maple tree, as shown in the figure above. 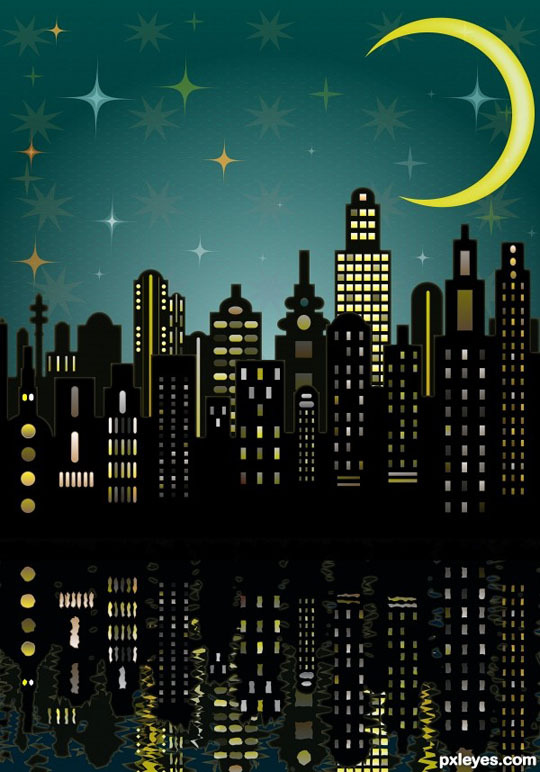 From this Tutorial you will learn how to create a magical city night with mystic buildings silhouettes, water reflections and shiny moon crescent.In the process of implementing the thirty steps, we’ll be using Ellipse, Rectangle and Rounded Rectangle Tool, Roughen Effect, Pucker and Bloat, Pathfinder Panel and Clipping Mask. 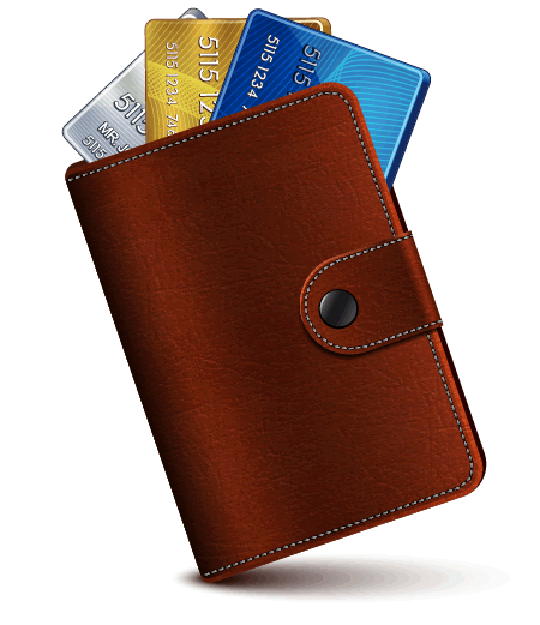 In this tutorial you will learn how to create wallet icon using simple techniques and objects. 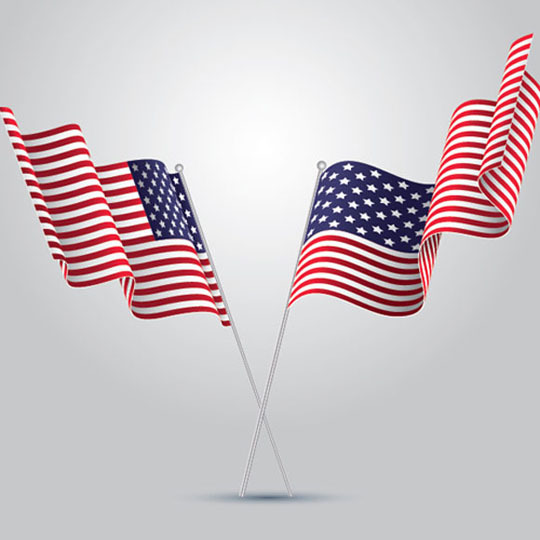 In this interesting tutorial you will be learning how to create an American flag in Adobe Illustrator. Basically, you can create any kind of flag using this technique.